TGIF Everyone! Here it is, Round 6 of my 5 Friday Faves! 1. Grove Square Cappuccino K-Cups. Lovely little packages of sugar and caffeine for my Keurig. Now that my 3 year old has [sadly] dropped his nap, they are essential around 1:30 p.m. everyday. 2. Amelia Rose Initial Necklace ($59 per charm) in Sterling Silver. My mom (you might have read about her in my post, Life According to Ceci) gave me two of these charms, with an initial for each child, when my daughter was born. I wear it often because I love its simplicity and the way it captures light. It comes in gold too, if that's your favorite metal. 3. Sonia Kashuk Eyelash Curler (~$10 at Target). 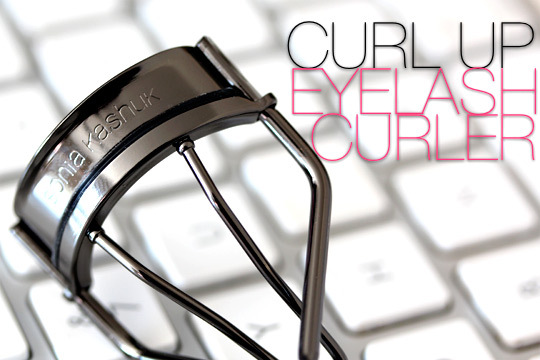 I know what you're thinking: An eyelash curler! When I can barely manage a shower most mornings? But let me tell you, this makes a HUGE difference if you wear mascara. This particular brand actually works well too, unlike some of the others I've tried. 4. Suave for Kids Detangling Spray ($4). My son grabbed for this at a Walgreen's one time, and of course I bought it to keep things under control. Fortunately, it has come in handy many times. My son's hair has some length to it, so he wakes up with major bedhead every morning. I squirt some of this nice-smelling detangler on his hair before I swipe it with a brush in the mornings if we are heading out. 5. The Pottery Barn Kids Anywhere Chair. My mother-in-law has given one of these chairs to each of her grandchildren on their first Christmas. My son has a navy blue one and my daughter's is pale pink; both are monogrammed with their names. The chairs are simple and attractive enough that I don't feel like they need to be relegated to the basement. Bonus: you can wash the slipcovers! Like my faves lists? My friend Jennifer-- a Texan mama with 3 busy boys-- over at her blog, The Intentional Mom, is listing some of her favorite things today too. Check her out right here! My new blogger friend, Tara, from the hilariously titled blog, That's What She Said, is also sharing some of her fave things, right here!